Holosun HS510C open reflex sight, 1x, 30mm diag, 2 MOA Red dot + 65, MOA ring reticle, matte black, absolute co-witness mount. 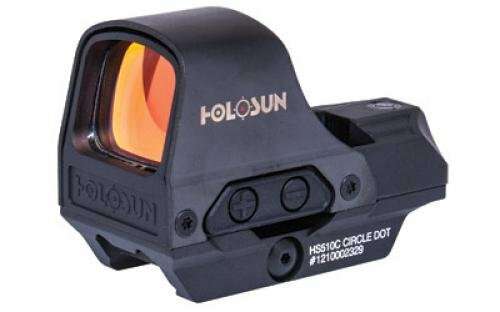 If you have any questions about this product by HOLOSUN, contact us by completing and submitting the form below. If you are looking for a specif part number, please include it with your message.